The first edition of India International Electronic & Smart Appliances Exhibition 2018 (IEAE) is being held in Pragati Maidan, New Delhi from 5th to 7th December 2018. The 3 day expo is supported by CMAI association, PHD Chambers, Indo-African Chamber of Commerce, Indo-Arab Chamber of Commerce & Industries, National Apex Chamber, FAIITA, PCAIT, GECC and THEISTIC. 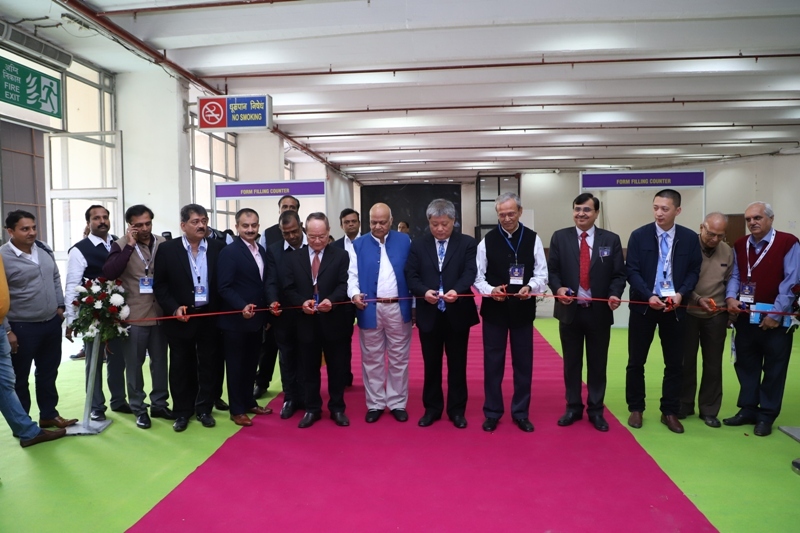 The exhibition was inaugurated by Mr. RK Pathak, Deputy Director General,Dept of Telecom (Ministry of Communication) and Mr. Shyamlal Ghosh, IAS retd., Chairman Telecom Export Promotion Council (TEPC) in the presence of Prof N.K. Goyal President, CMAI association of India, Mr. Anil Prakash (ITU), Mr. Vimal Wakhlu, Former Chairman & MD TCIL Govt. of India, Mr Alok Gupta, Founder & Director Uninstal System Pvt Ltd and President of PCAIT, Champakraj Gurjar, President of FAIITA and Mr. Lius Yu Feng, Vice President of China Electronic Chamber of Commerce (CECC), Mr Yao Rongcheng, Chairman GECC. 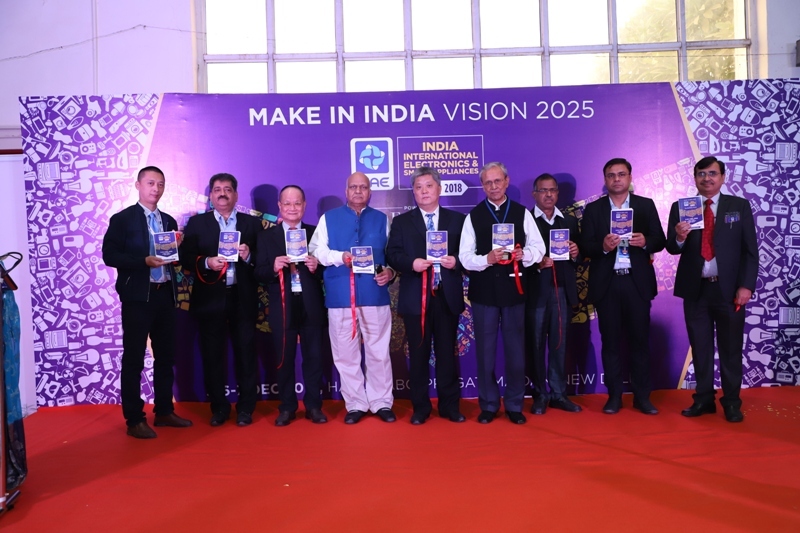 Two seminars were held, namely Roadmap to making an electronic components manufacturing hub and Manufacturers- Challenges & Opportunities ahead for Indian Channel in ‘Make in India’, where deep discussions were held by the dignitaries. 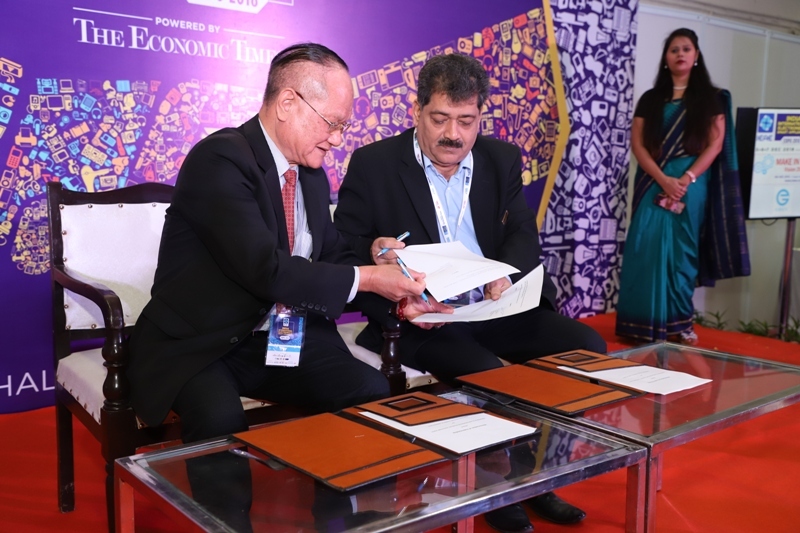 For the further business development between India and China, an MoU was signed between GECC: Mr.Yao Rongcheng, Chairman and FAIITA: Mr.Champakraj Gurjar, President and GECC: Mr.Yao Rongcheng, Chairman and CMAI- Mr.N K Goyal, President. “China is the well known country in terms of electronics and technologies and we are bringing the advanced technology in India for introducing our smart home appliances, mobile phones and other electronic items as we believe Indian market is a huge platform to introduce the same. Also our objective is to do a set up of manufacturing units under the Make In India campaign which will also help in building the relations between the two countries” said Mr. Chen Canto, General Manager, Chaoyu Expo, China. From small scale companies to start ups and even the big wigs in the home electronics and smart home appliances field made their presence felt in the ‘Living, Giving and Home’ sector by showcasing the first look of their many products. The event has 3 main product categories that include ‘Consumer Electronic and Audio’ (Mobile Phone and Accessories, Computer Accessories, Digital Devices, Speaker & Sound Box, Professional Audio, Home Theatre System, Karaoke Player and Microphone), ‘Home Appliance and Lighting’ (Electronic Kitchen Items, Fans, LED Indoor Lighting, Construction Lighting) and ‘Home System’ (Lighting Control System, Home Appliances Control System and Home Cabling). “Telecom sector has had a rapid growth in various sectors of the Indian economy and world in the last few years which has made it to be the world’s 2nd largest Telecom network with more than 1.2 billion connections and about 93 teledensity. In fact, there are approx US $ 20 billion import of telecom equipment in India. Also, this expo is a good platform for building the relation between India and China even stronger. The three long day event has given room to more than 60 companies from China, to showcase and feature their new products which would act as an eye candy for the buyers throughout the wide range of Electronics and smart home Appliances and supported” said Rajesh Kr Pathak, Deputy Director General,Dept of Telecom (Ministry of Communication).